Men’s Bodywear consists of two collections: Comfort Collection and the extra fancy Premium Collection. Men's Bodywear is available not only in white, but also in ivory. Accessories like belts and socks complete the groom’s outfit. 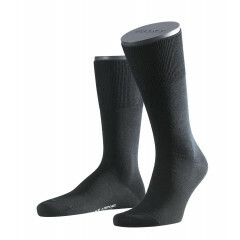 Jupon men's socks made with a fine cotton inside, finished off with climate regulating Merino wool on the outside. These incredibly comfortable socks offer a perfect fit. Available in Black, Brown, Sand, Marble, Blue Be..
Jupon's range of menswear now includes these high-quality cotton Fil d'Ecosse socks. 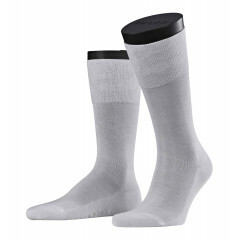 These incredibly comfortable socks are both durable and offer an optimum fit. Available in White, Black, Brown, Light Blue, Sand..
Men’s Bodywear is Poirier underwear for men and consists of two collections: Comfort Collection and the extra fancy Premium Collection. This item has a V Neck. Available in White and Ivory. This item is also available..
Men’s Bodywear is Poirier underwear for men and consists of two collections: Comfort Collection and the extra fancy Premium Collection. This item has a V Neck. Available in White and Ivory. This item has a "..
Men’s Bodywear is Poirier underwear for men and consists of two collections: Comfort Collection and the extra fancy Premium Collection. This item is a tank top. Available in White and Ivory. This item is also availabl..
Men’s Bodywear is Poirier underwear for men and consists of two collections: Comfort Collection and the extra fancy Premium Collection. This item is a tank top. Available in White and Ivory. This item has a "Just..
Men’s Bodywear is Poirier underwear for men and consists of two collections: Comfort Collection and the extra fancy Premium Collection. Plain shorts. Available in White and Ivory. This item is also available..
Men’s Bodywear is Poirier underwear for men and consists of two collections: Comfort Collection and the extra fancy Premium Collection. Plain shorts. Available in White and Ivory. This item has a "Just Marri..